Purely going off these results, you’ll see prices anywhere from $50 to $100. These prices do NOT include installation. 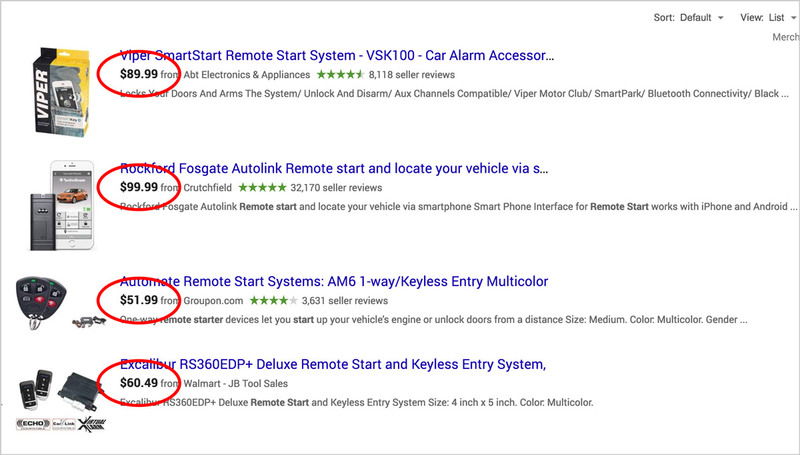 Most remote starters sold online are NOT under warranty. Either of these reasons should sway you away from buying one of these systems. Unless you are a certified 12-volt automotive electrician, you should not attempt to install a remote starter on your own. You can risk hurting yourself, your vehicle, and your wallet in case repairs to either are necessary. Instead, visit a professional retailer, who understands remote starts and is comfortably installing the brand of your choice. So how much will a retailer charge me for remote start? 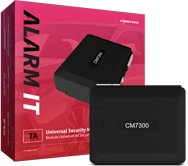 Based on a brief survey of Compustar dealers, a basic, short-range remote starter installed on a non-luxury vehicle will range from $249.99-$399.99. The price you’ll be quoted will largely depend on the year, make, and model for your vehicle. Different vehicles use different mechanisms for starting the engine. A professional installer will understand how to integrate a remote start system with these mechanisms, to ensure the car is being remotely started safely and securely. It is very important to contact your local retailer prior to visiting the store to make sure they are able to install a remote starter onto your specific vehicle. That said, if you contact one retailer and they say “No”, don’t fret! Try another retailer, as retailers often have varying levels of comfort with different vehicles. I found a Groupon online for a $149.99 remote starter WITH installation. Is this legit? The key is to read any fine-print on such promotions, and to be proactive with your communication to the retailer. Most of the time, retailers are not trying to rip customers off, and there is generally a simple explanation for any increase in costs as certain factors and make an install more complex. 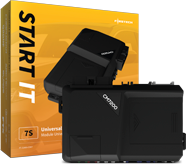 Regardless of what brand of remote start you’d like for your vehicle, our team at Compustar suggests following these steps when purchasing a remote start. Use an Authorized Dealer search tool to find professional retailers & installers near you. Contact your retailer in advance to check your vehicle’s compatibility as well as the shop’s availability. 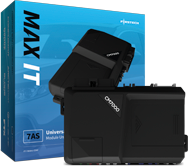 Ask about upgrading your remote range or adding 2-way to your remote starter. Always make sure you purchase and install your remote starter at the same location. If you’re interested in a Compustar system, try going through our Compustar System Builder to find the system that best fits your needs.